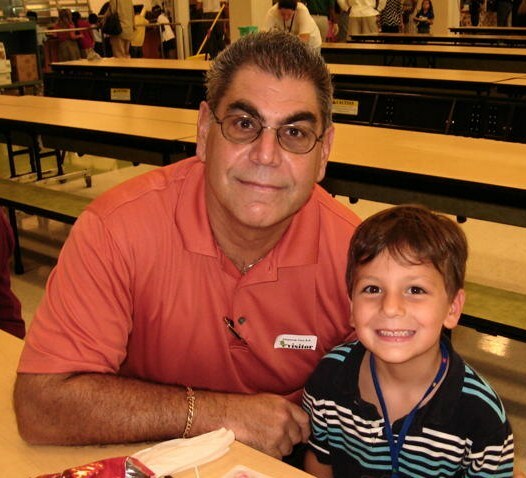 What does a Gator pin + three boys = Gators of the Month! Nicholas was super excited to be Gator of the Month in kindergarten! Sal and Vinny couldn't believe they were both chosen for Gator of the Month too! It was very exciting to have their buddy AJ as a fellow Gator of the Month since this is every ones first year at Gatorland! 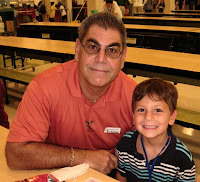 Nicholas was very excited to have Pop-Pop come to school for Grandparents Day Luncheon. Ahoy Mates, Nick's Nest joined Kelly's Kids and Erin's Family for a fun pirate's day adventure! Kelli and Emma enjoyed their first concert without their brothers! 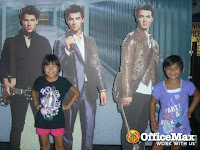 We hit the open road and saw the Jonas Brothers with all our PSL Pals. The girls rocked out to the Camp Rock CD with buddies Growing Up Garcia all the way there and all the way back. Thanks to everyone who helped make the girls 1st concert a success! Four Parents + Seven Children = a crazy family vacation! Nicci's Nest hit Orlando with the "in-laws Fittings" Lori and Al and their children Brittany and Ryan for two fun filled days! We walked the plank at the Pirate's Dinner show and took home some rowdy swashbucklers! We enjoyed the day at Universal, the girls went on the Mummy without the boys and everyone wanted to be eaten on Jaws.